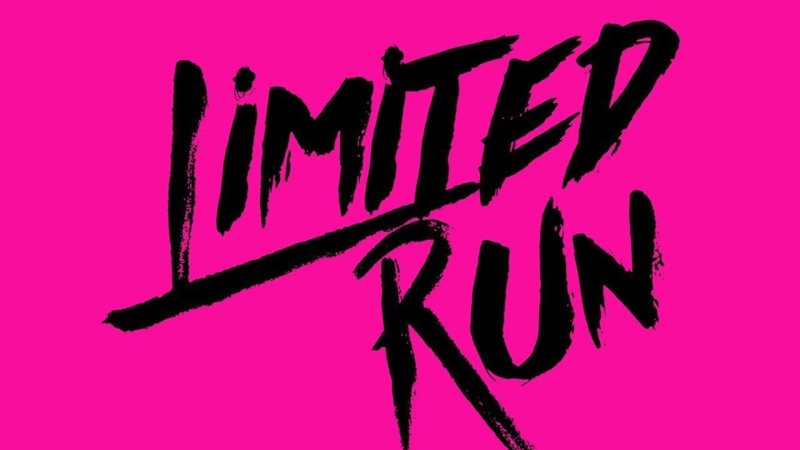 Limited Run isn't done with Nintendo's older systems just yet. After finally announcing it would release Axiom Verge on the Wii U not long ago, the physical specialists are now apparently working on a 3DS release. In a reply to a user on Twitter, who was suggesting Person Q2: New Cinema Labyrinth would be the last stateside physical release on the 3DS, Limited Run CEO Josh Fairhurst chimed in to say it likely wouldn't be. It turns out LRG is bringing something physical to the 3DS, we just don't know what it is at this stage. Fairhurst went on to say how it was unlikely either of these games would truly be the last 3DS physical releases. So, what do you think Limited Run Games is releasing on the 3DS? Tell us down in the comments. Good. 3DS support shouldn't completely end. Some games are better suited to it. WarioWare Gold and Persona Q2 are both good examples of such. I would like a Steamworld collection. I'm crossing my fingers for Dementium: Remastered and Moon Chronicles! @Rohanrocks88 Shovel Knight already has a physical for 3DS. Only one I'd care about is Sega 3D Classics Collection Volumes 1 or 3. My hype-train had barely left the station when it came to a craching halt at the border of REGION LOCKED... I've been saying it for several -more meaningful- reasons, but I'll say it once more: no borders, no nations, no masters, no slaves! If it's region locked, then this is a monumentally stupid idea. The only region free 3DS cartridges that I am aware of are the Louvre ones, which are available exclusively at the museum (though I am curious as to whether they are still available). It being region locked would be out of their hands anyway, since that's just what the 3DS and Wii U did. It was incredibly fortunate for their business model that PS4, PS Vita, and Switch are all region free. Still, I'm curious to see what this 3DS game might be, I'd often wondered why there weren't any such Limited Run 3DS games during its lifecycle. @RupeeClock because it’s region locked. The limited run model only really works if region free. It’s as simple as that, you covered exactly why it hasn’t happened. Surely there must be shovelware 3DS games coming? Rarely is the "final" game on a console a good one. I do recall the DS had a few licensed shovelware games for a couple years after the last major release (Pokemon BW2). I feel like it's more likely that Nintendo have a stock of blank 3DS game cards that they need to finish up, and Limited Run has a proposal to use up the remaining stock for some favourite eShop games. A similar thing happened with the PS Vita as their game card manufacturing came to an end. My recollection is that the final DS game was a Disney Frozen game featuring Olaf. I was a bit intrigued until I remembered that the 3DS isn’t region free. I would love either Moon Chronicles or 80s Overdrive (the "Horizon Chase Turbo" of the 3DS). Based on how fast the Wii U version of Axiom Verge sold out last Friday on Limited Run's website (only 6000 copies available worldwide), I'm guessing whatever they put out for 3DS will sell out quickly. I have a hunch it’s 80s Overdrive... I’m actually excited to get another game for my beloved 3DS. Thanks, LRG! Contrary to my earlier comment, I'd be tempted if it's 80's Overdrive. I like sprite scaling racers and this one looked promising (And I haven't yet hit the buy button to download it). @RupeeClock I doubt it, Nintendo just recently released a new selection of Nintendo Selects releases for instance. Hard to imagine if they had ~5,000 Switch cartridges they were eager to clear out, that they wouldn't of just printed a few more copies of each of those. I imagine we'll be seeing reprints for a while to come. New releases are drying up, but there will still be demand for past hits that Nintendo will be happy to meet as long as 3DS hardware remains widely stocked. I would not be shocked to see one last round of Nintendo Selects next spring for instance. At least here in North America, there are certainly some strong 1st party candidates like Mario Kart 7 left that have yet to be issued as a Nintendo Select title. And I'm sure a solid amount of 3DS hardware will be sold this Christmas for perhaps the last true holiday season for the platform. So ~March 2020 will be the perfect time for some attractive budget choices to pop up just as those gamers look for something new to feed their recent 3DS acquisition/gift. My bet is that it will be a compilation of Retro City Rampage and its sequel Hawaii Shakedown.